Paperback. 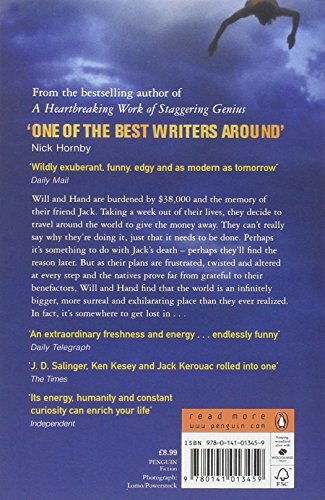 Pub Date: 2004 Pages: 368 Publisher: Penguin Will and Hand are burdened by 38.000 and the memory of their friend Jack Taking a week out of their lives. They Decide to travel around the world to give the money away . They can't really say why they're doing it. just that it needs to be done. Perhaps it's something to do with Jack's death - perhaps they'll find the reason later. But as their plans are frustrated. twisted and altered at every step and the natives prove far from grateful to their benefactors. Will and Hand find that the world is an infinitely bigger. more surreal and exhilarating place than they ever realised. In fact. it's somewhere to get lost in!